From 2007 to 2016, there was an increase in the proportion of substance use treatment facilities offering medication treatment. HealthDay News — From 2007 to 2016, there was an increase in the proportion of substance use treatment facilities offering medication treatment (MT), according to a study published in the January issue of Health Affairs. Using data from national surveys, Ramin Mojtabai, M.D., M.P.H., Ph.D., from the Johns Hopkins Bloomberg School of Public Health in Baltimore, and colleagues examined national trends and correlates of offering MT in U.S. substance use treatment facilities. The researchers found that the proportion of these facilities that offered any MT increased from 20.0 to 36.1 percent from 2007 to 2016, mainly due to increases in offering buprenorphine and extended-release naltrexone. In 2016, only 6.1 percent of facilities offered all three MT medications. The odds of offering MT were increased for facilities in states with higher opioid overdose death rates, facilities that accepted health insurance overall (specifically those that accepted Medicaid in states that expanded Medicaid eligibility), and facilities in states with more comprehensive coverage of MT under their Medicaid plans. 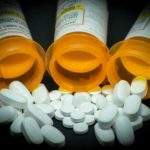 “Despite recent growth in the offering of medication treatment in substance use treatment facilities, a large unmet need for this treatment remains,” the authors write.